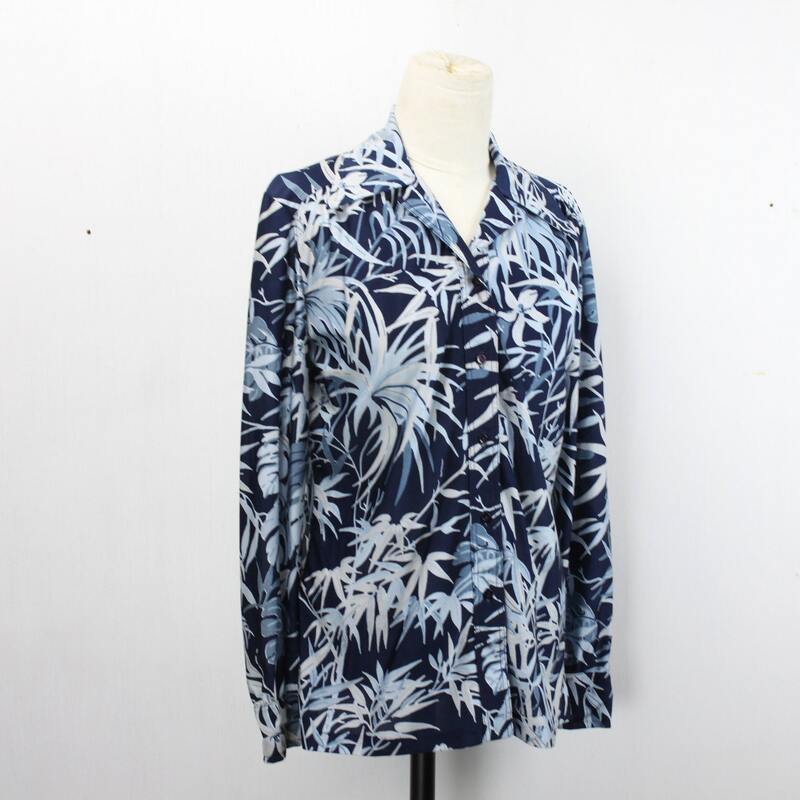 This vintage blouse by Ship'n Shore is in stunning condition! 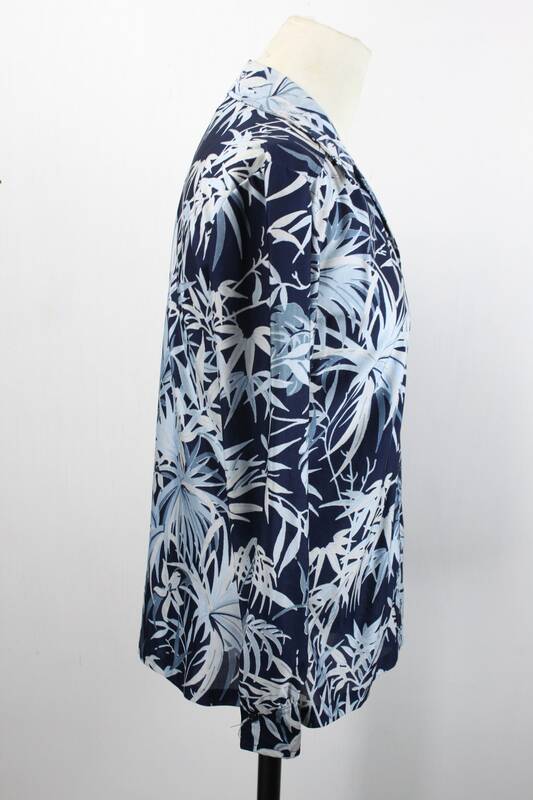 Made from 100% Qiana Nylon. 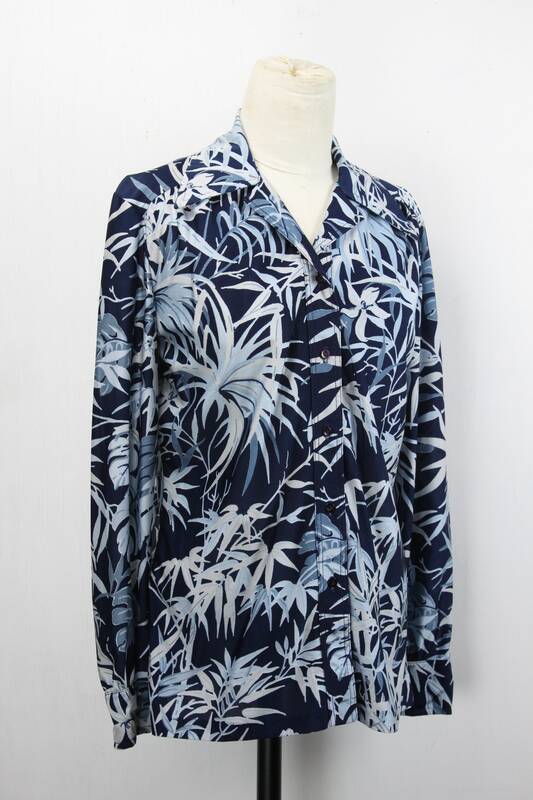 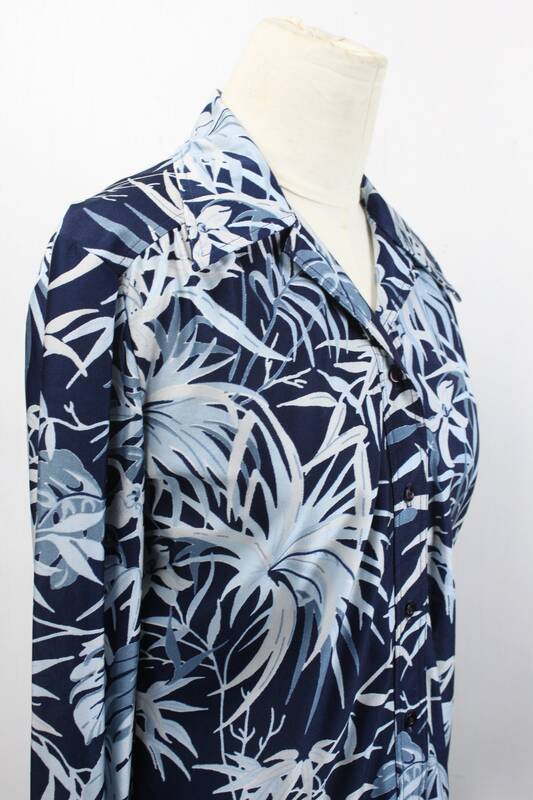 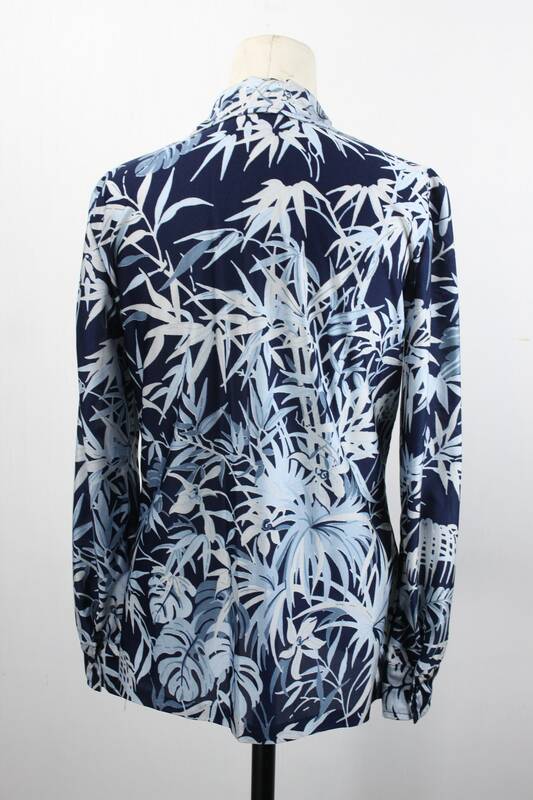 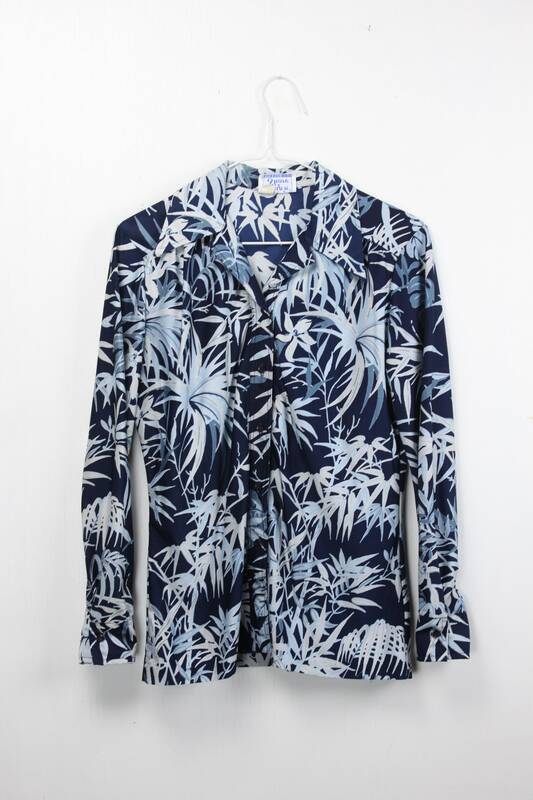 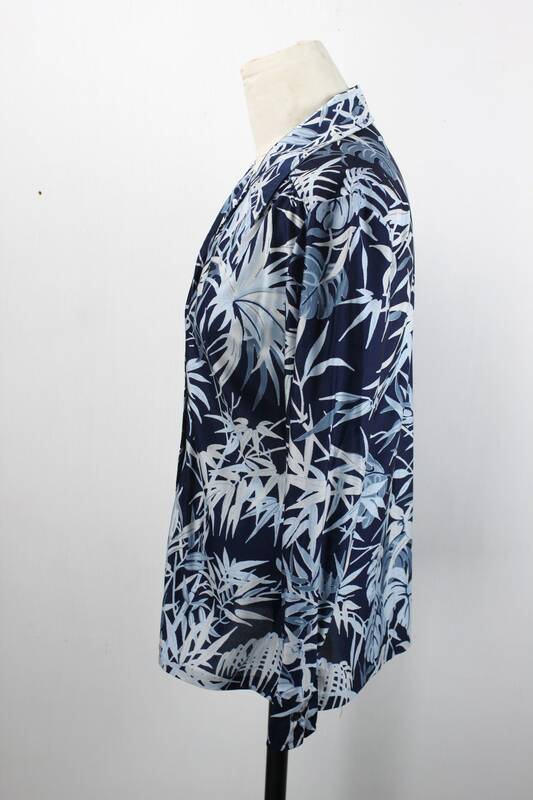 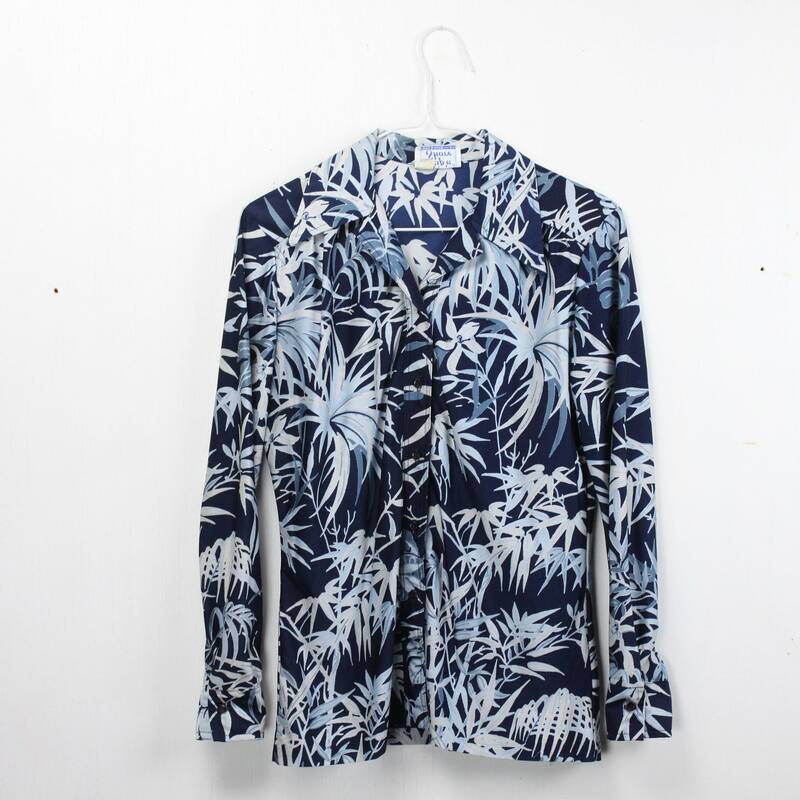 The blouse features a explosion of tropical plants in silver and light blue laid over a dark blue field! 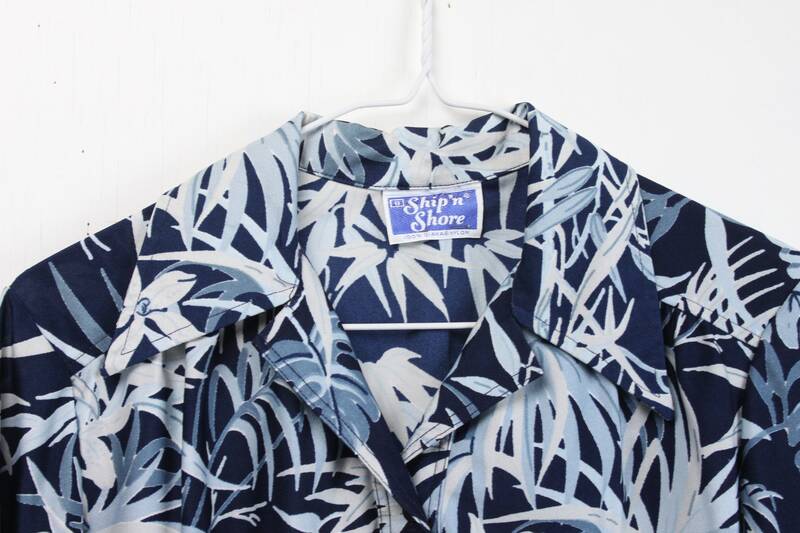 This shirt has a 5 button front closure, butterfly collar, no button collar and single button cuffs. 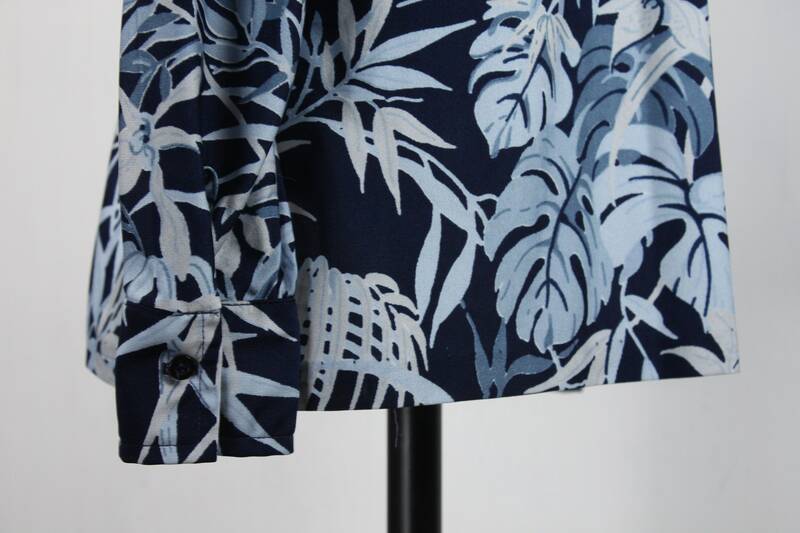 - Neck to hem: 25"